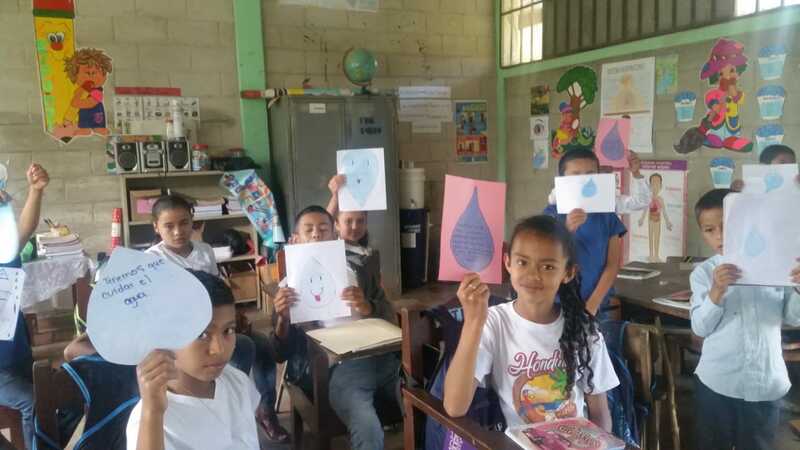 World Water Day 2019 was a success! Each year, Pure Water for the World teams in Haiti and Honduras create special events, in celebration of World Water Day, to engage and further educate locals about the critical importance of safe water and hygiene. 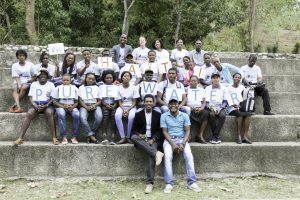 *World Water Day (WWD) is held annually on March 22nd as a day to focus the world’s attention on the importance of clean water and advocating for the sustainable management of water resources. This year, the theme for WWD was “Leaving No One Behind”. This theme is an adaptation from the UN’s Agenda for Sustainable Development…as sustainable development progresses, everyone must benefit. 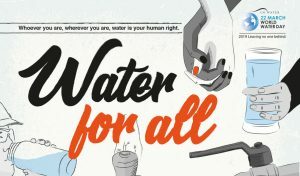 PWW’s work aligns directly with the UN’s Sustainable Development Goal number 6, helping people reach universal access to safe water and sanitation by 2030 (read more about the SDGs here). In Honduras, celebrations took place in several different communities in which PWW works. In La Mosquitía, students played games honoring water — “Cuídame hoy para tener mañana.” (Take care of me today to have tomorrow). 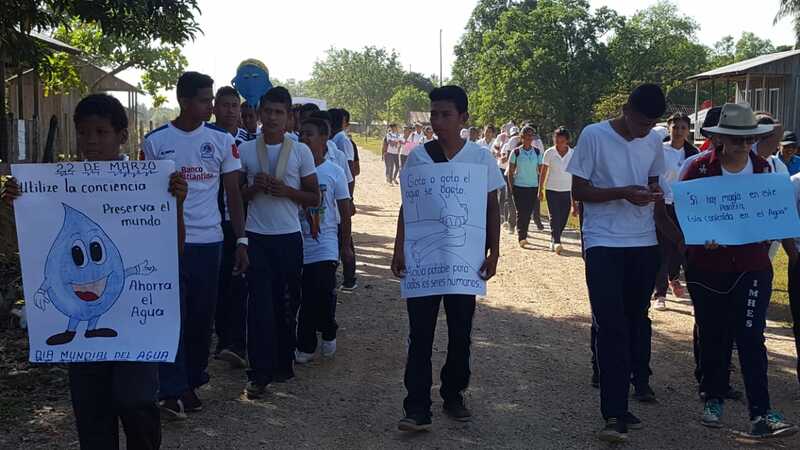 They wrote poems about the importance of water and held street celebrations with signs, sharing a variety of messages, including: “Gota a gota el agua se agota. Agua potable para todos los seres humanos” (Drop by drop the water is used up. Drinking water for all humans.) and “Si hay magia en esta planeta, Esta contenida en el agua.” (If there’s magic on this planet, it’s contained in water.). In Rio Arriba, schoolchildren celebrated WWD creating drawings that spoke to the importance of safe water for all. 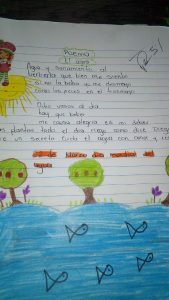 They talked about the importance of conservation, emphasizing that when you conserve water, you preserve life. 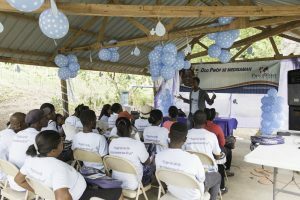 In Haiti, PWW’s WWD activities were focused around helping a new community PWW is working in to gain a deeper understanding about the importance of conserving and managing water resources. 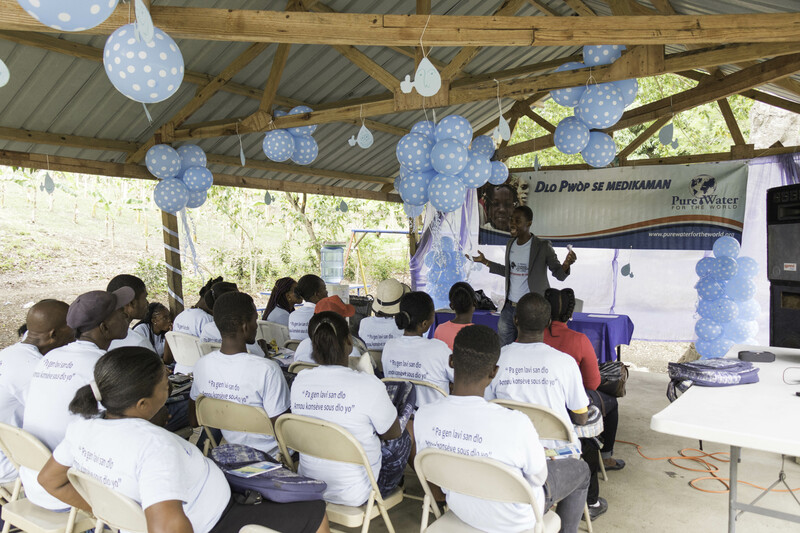 A community event was hosted, bringing together the group of volunteer Community Agents and key community leaders. Become more aware of the importance of ensuring appropriate water management for the future, and understand the role of helping to educate fellow community residents accordingly. 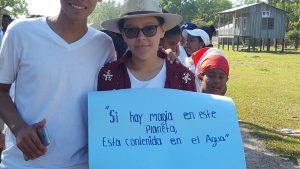 Learn how to train other community members about respecting and preserving water and their local environment. Gain a deeper understanding about the importance of regularly visiting and monitoring the homes they have volunteered to support, with regard to long-term sustainability. Further understand their commitment to work with the community to protect their wells and community water supplies. The group played games to further secure the lessons learned. 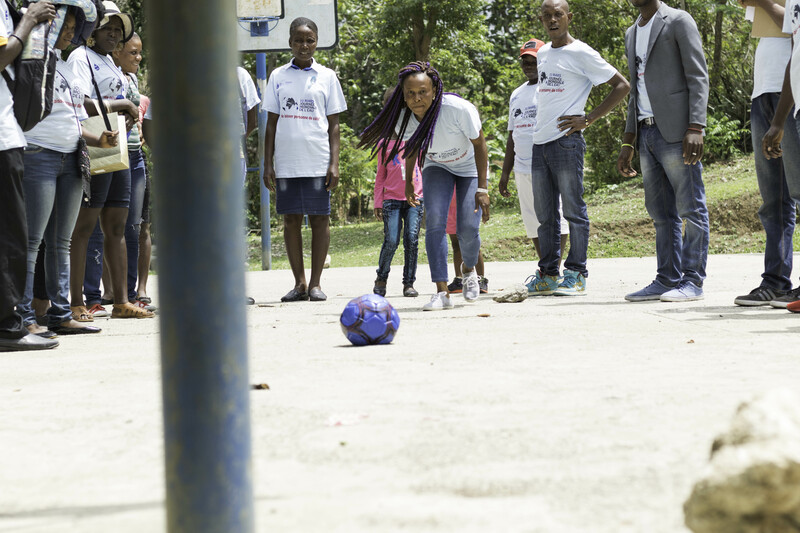 One game was called “The Queen and King of Treated Water” followed by a “World Water Day Terminology Relay Race”. Prizes were given to the winning teams. 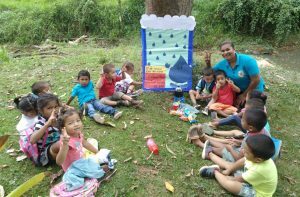 In total, 53 people participated in the fun-filled day of advanced water learning. The feedback from the attendees was overwhelmingly positive. 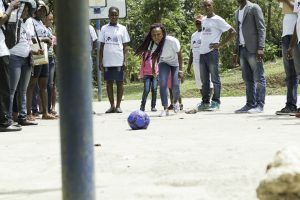 They thoroughly enjoyed the day and the activities, including the games, debates and discussions about the importance of safe water for all. 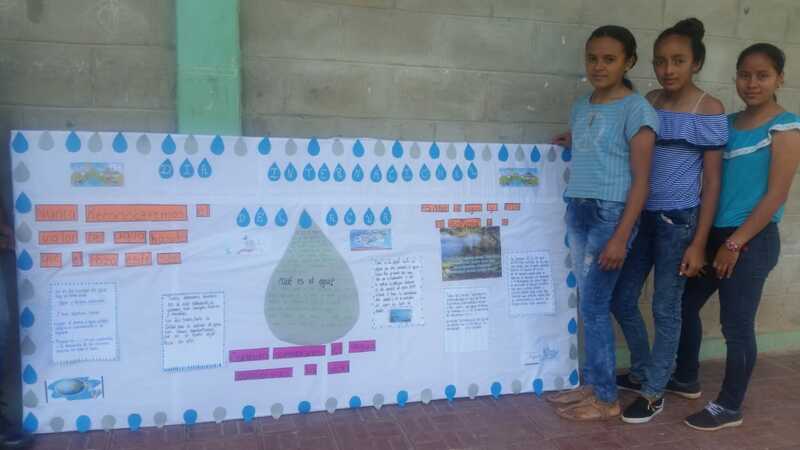 Uncategorized #WASH training, Haiti, Honduras, WASH Success Stories, World Water Day, WWD2019. permalink.